I don't know about y'all, but I absolutely love the classic 60s British Invasion gem "With A Girl Like You." 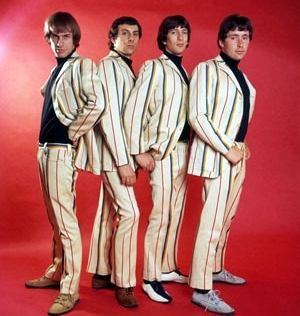 The Troggs really nailed the sweet thang give the people what they want hey ladies vibe with that little number, and it's long been one of my favorite songs of that era. So I was tickled to see young lad William Alexander try his hand at this fine specimen, and I must say he's done it justice and then some. Scuffed, plaintive boy vocals and a bedroom recording feel give this song an easy, casual charm. Plus, it's always good to know some of the younger generation has good taste in their covers. Definitely worth a few listens, especially as the days warm up and the living is easy.